Firebird Project and IBSurgeon invite Firebird administrators and developers to «Firebird Big Databases» seminar (in Russian). Seminar will take place in Moscow, Russia, October 21, 2015. Main speakers at seminar are Dmitry Yemanov, lead FirebirdSQL developer, Dmitry Kuzmenko, IBSurgeon and Alexey Kovyazin, IBSurgeon. 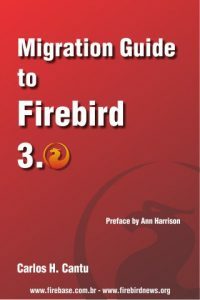 The seminar will cover topics of Firebird performance optimization and maintenance of big Firebird databases (>500Gb). Seminars in Europe are planned, but not yet announced, please stay tuned. More details and registration is at http://ibase.ru/firebirdtour2016.html (in Russian only). During the registration process for the 12th edition of the Firebird Developers Day, people could donate money to the Firebird Foundation. In total, it was collected R$ 4.590,27 (~ USD 1.3k). The list of donors is available here. Thanks to all who contributed! And remember that anyone can contribute, donating or becoming a member of the Firebird Foundation. 12th FDD – Report is online! The report with lots of photos of the 12th Firebird Developers Day edition is now online (in English and Portuguese). You can check it here. 12th FDD – 100% success! Last saturday we had the 12th edition of the Firebird Developers Day conference in Brazil! During all the day, hundreds of people had the chance to improve their knowledge about Firebird, and buy software with special discounts. Thanks to all the attendees, speakers (Dmitry Yemanov, Alexandre Benson Smith, Alexey Kovyazin, Nilson Brasil and Marcelo Daibert), sponsors and supporters (Embarcadero, FastReports, ActiveDelphi, IBSurgeon and IBObjects, Steema, Woll2Woll and DevArt). The conference report will be online soon, and several pictures already can be seen in facebook, g+ and twitter. The Firebird Developers Day is a Brazilian annual conference, held in Piracicaba-SP, with an average of 400 attendees. This year, the 12th edition of the conference will happen in 08-August, with the special presence of Dmitry Yemanov, chief of the Firebird development team. All the details can be found in the conference site, and registrations can be done online. We invite all the Brazilians and Portuguese speakers to participate in this big event! We invite all Firebird developers and administrators to 1-day seminars in the frames of Firebird 2015 Tour. Firebird 2015 Tour is devoted to the SQL performance optimization: SQL plans, queries and database statistics, queries tuning techniques, etc. Firebird 2015 Tour is organized by IBSurgeon and IBPhoenix, with support of Firebird Developers core team. The 12th edition of the Firebird Developers Day will take place in Piracicaba,SP – Brazil, in 08-Aug-2015, at Espaço Beira Rio (same place as last year). The conference site with all the details will enter online in the end of May. The virtual session that Dmitry Yemanov gave last year in the 11th Firebird Developers Day is now publicly available in YouTube. The audio is in English, and there are subtitles in PT-BR available. In this video, Dmitry talks about the most recent developments done in FB 3, comment about the reasons for the delays of the releases, what we can expect for the future, etc. Obs: Please note that the session was recorded in August/2014. Watch it now in YouTube.